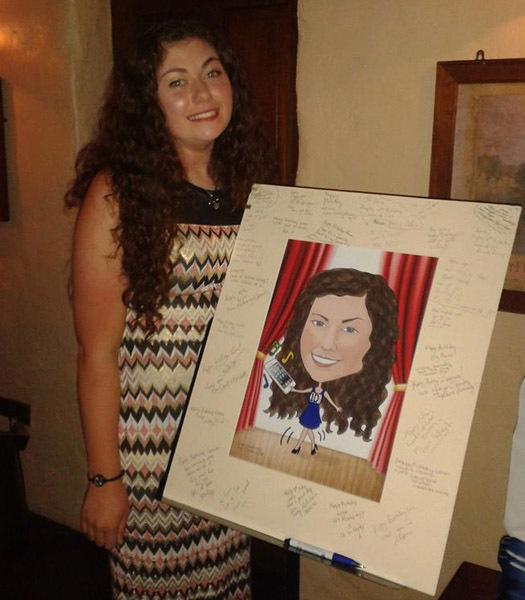 Frame your guests messages with a Caricature by Carmel Guest Signing Board which can be ordered framed or unframed. 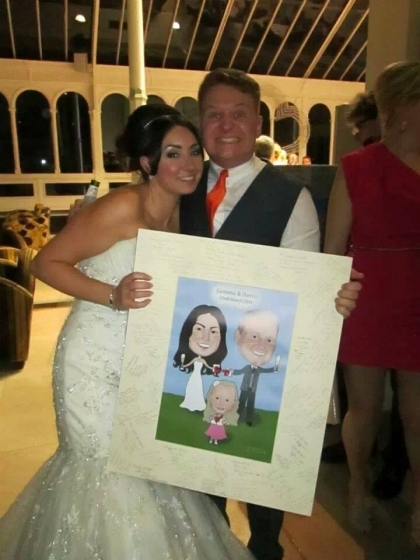 A Caricature Guest Signing Board great idea for any event, like a Wedding, Anniversary, Birthday and Retirement party or a baby or bridal shower. Makes a wonderful gift and unique keepsake. A Caricature on an A3 size page mounted on a 24 x 20 inch mounting / signing board. Email good quality recent photographs plus information on whatever activity, hobbies or fun information you would like included. Carmel will suggest different caricature stories to choose from and once one is chosen, I can create a fun, friendly caricature for you.